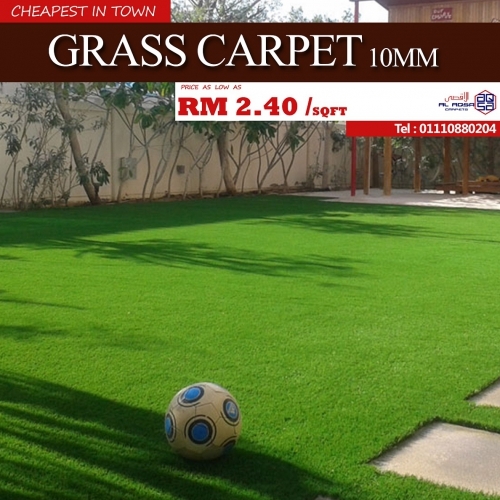 Grass Carpet 10MM Starting Just From Only RM 2.40/sqft. Natural grass may not always be ideal for your living environment or lifestyle. Firstly, the weather can create a large impact on how well grass can grow. In addition to growing grass, you may also be weary of maintenance concerns. If you’re tired of weeds, or grass that is half-soggy and half brown, you may want to consider giving some thought to artificial grass carpet.